I'm so glad it's finally the weekend. Do you guys have any exciting plans? Well, in case you're looking for a good excuse to do some cheeky shopping, I've got an excellent one right here. 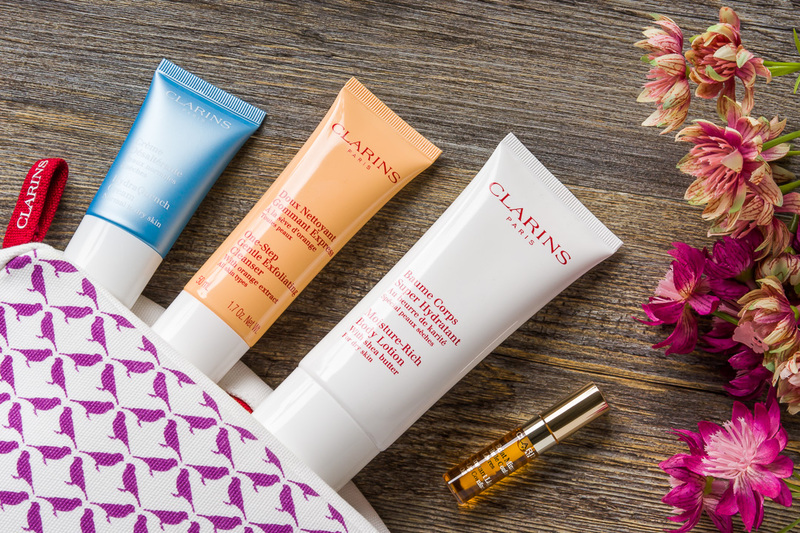 Debenhams is once again offering an incredible CLARINS GIFT WITH PURCHASE when you buy 2 or more Clarins products, one to be skincare. As you can see in the image above, this gift set is such a great value (worth over £40). 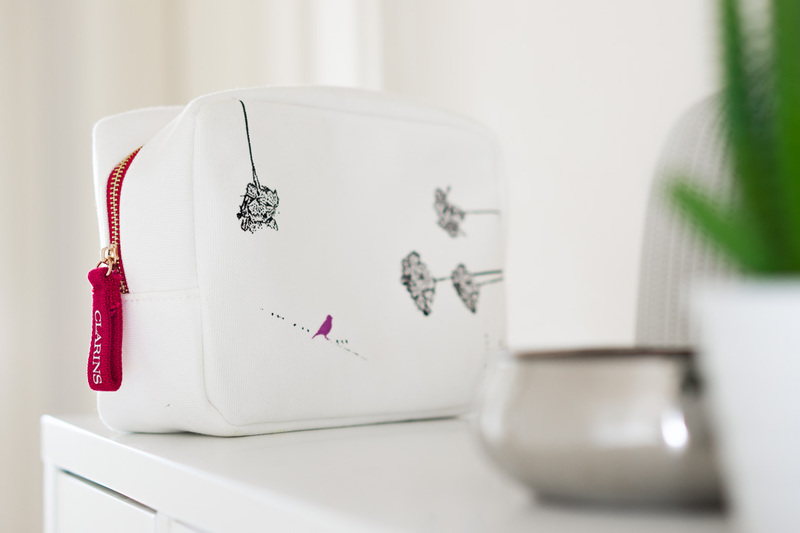 You get 4 generous samples plus the cutest bag ever. I mean, purple is my favourite colour and I'm obsessed with birds so I'm biased in this case. 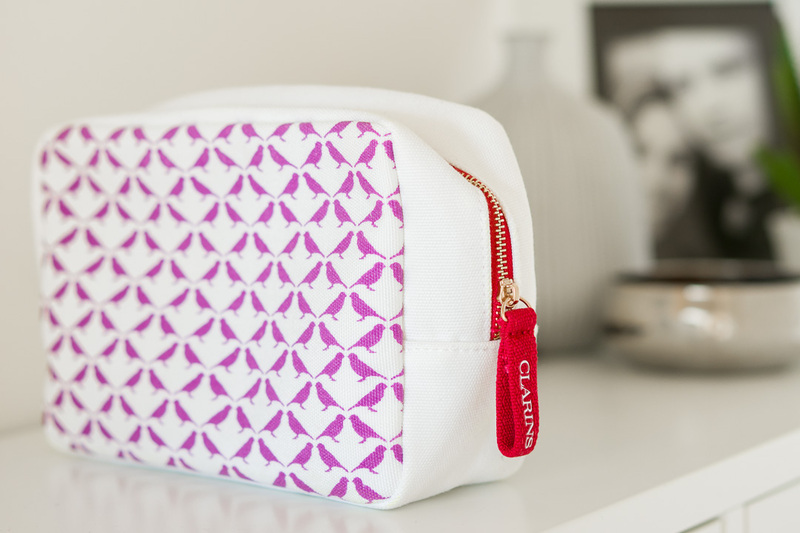 But it's such a good makeup bag, perfect for the summer holidays. Not only adorable but also great size and quality! The products that come inside the bag are also amazing! This is a rich and creamy body lotion. 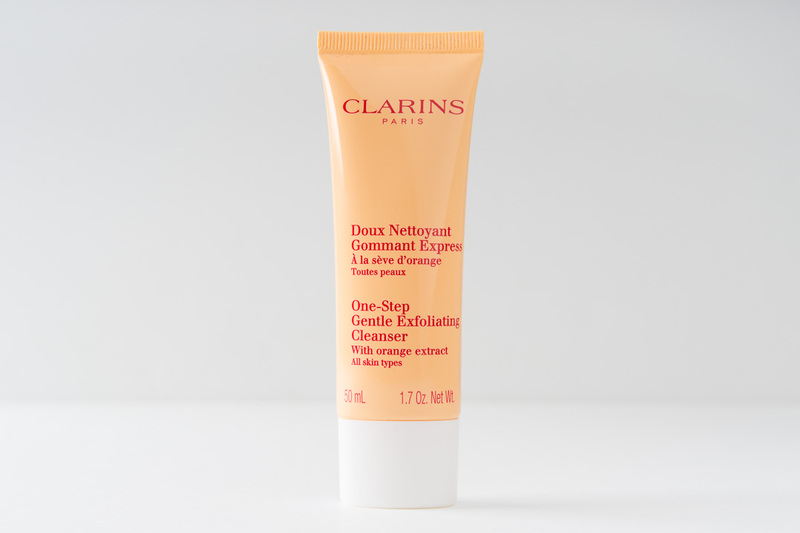 As with everything from Clarins, it smells subtle but lovely and feels really nice on the skin, making it extra soft the whole day. 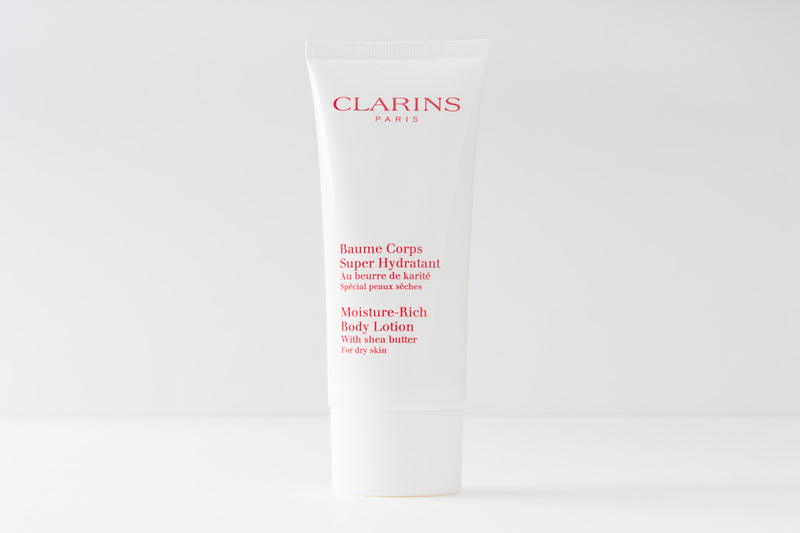 I've had this cleanser before and it's one of my all time favourites. Smells so fresh and the fine beads feel super gentle on the skin. I simply love it, as it cleanses and exfoliates in one go. It also removes makeup, so WIN - WIN. 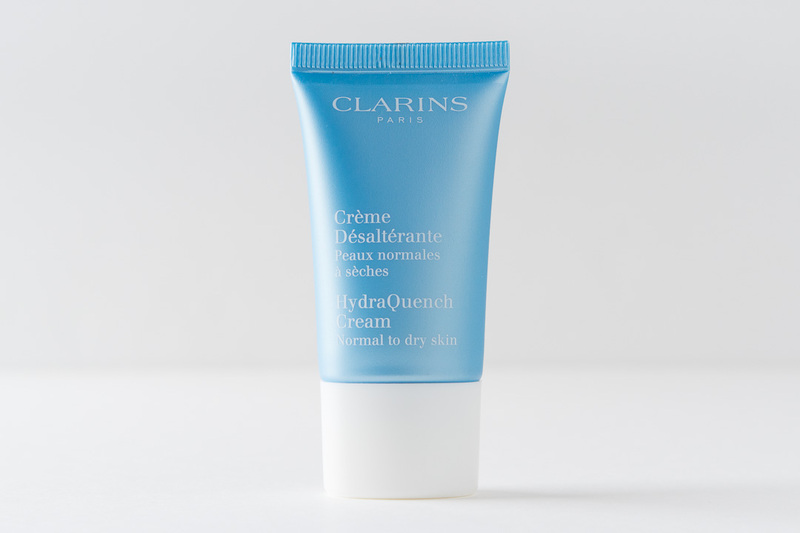 50ml is a very good sample size and a great way to give it a try. HydraQuench, as the name suggests, is ideal for those looking for more hydration. 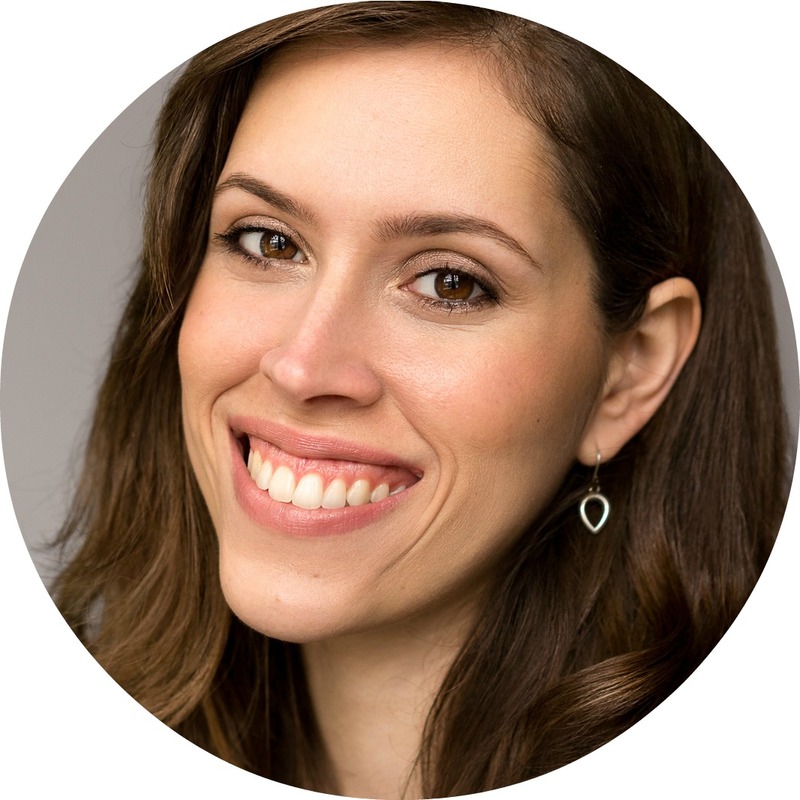 It's quite lightweight, sinks in quickly and I really like that my skin feels nourished, softer and more radiant too. It also works great under makeup. This lip oil was the product I was most excited to try. 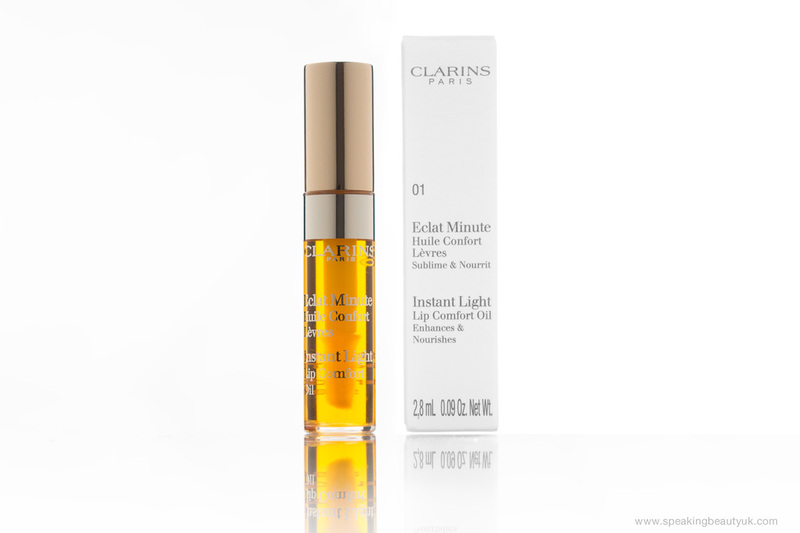 I'm a huge fan of facial oils so a lip oil sounded very appealing to me. And I am very pleased to say that I'm a big fan. This is honey flavoured and a new addition to the already existing line. I love the scent and it really is a treat to my lips. It's like a cross between a balm and a lip gloss. Doesn't feel too sticky and it's very moisturising. Love it! And highly recommend trying it out! So, I personally think this is an incredible Gift With Purchase and I couldn't fault any of the products included in the set. Have you tried any of these beauts before? Let me know your thoughts. *Disclaimer: PR Sample. All comments are my own and honest opinion.